It's All For The Glory of That One Tenth! Friends, I’ve made it back in one piece with a zillion stories of airports and security checks, of jazz festivals and heroes spinning songs in the late afternoon San Sebastian sunset, of the speed that you can unload Euros in Paris, and of the weird life balance of the road  nine tenths of the day is dealing with fairly lame travel details and it’s all for the glory of that one tenth, the gig at the end of the struggle. 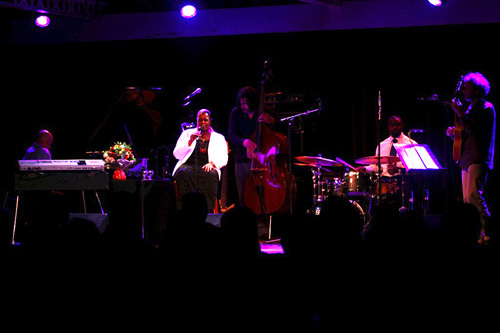 And we kept coming back for more ‘cuz Dianne Reeves can sing! Big fun and so much so that we’ll be returning in November for more insanity. Is your Passport ready? 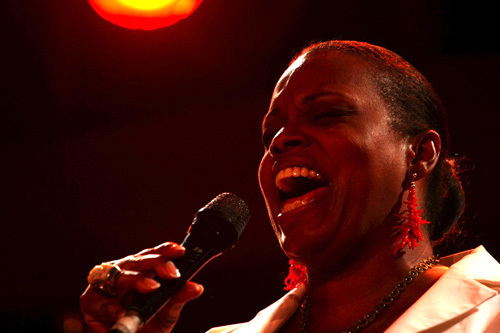 Dianne Reeves singing in Etaples, France. 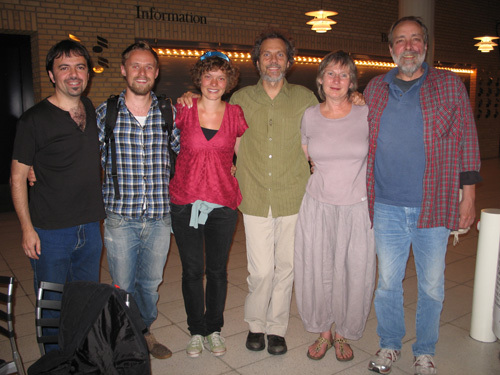 Peter going horizontal in Arhus, Denmark. Meeting up with Butch Lacy and his family in Arhus. From left to right, Alejandro Sancho, Emile, Lil (Butch's daughter), Peter, Karen (Butch's wife), and Butch. 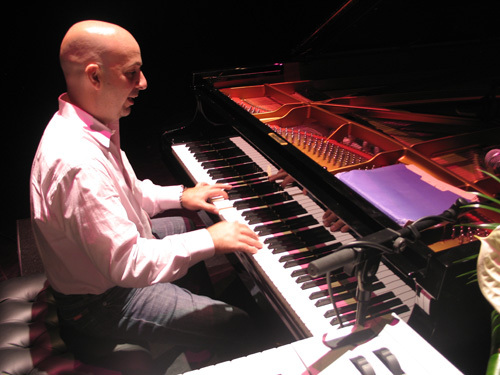 Peter Martin on piano in San Sebastian, Spain. 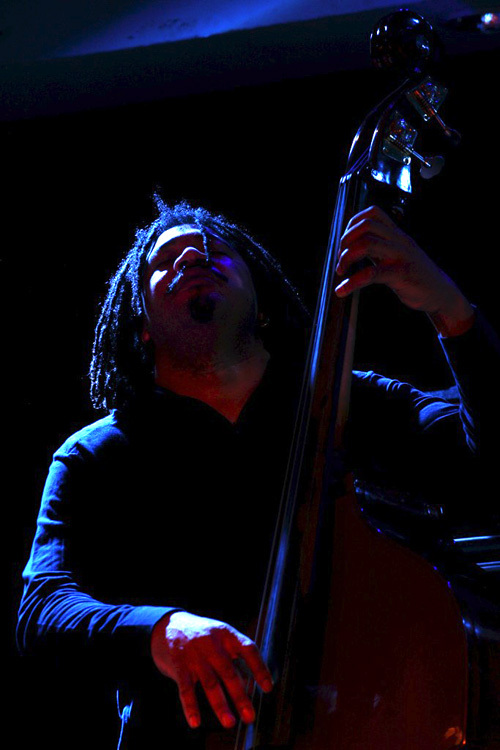 James Genus going horizontal in Etaples, France. The whole group in Etaples, France. That's Kendrick Scott on drums to the left of me. 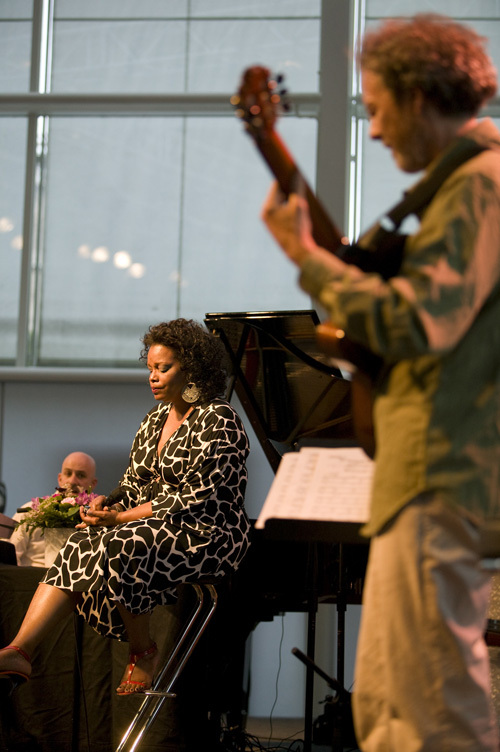 Dianne zen-ing out to my solo guitar intro in Arhus, Denmark. And go here if you want to see a YouTube clip of us playing some blues during the Paris concert. For this week in the beautiful San Diego August warmth we’re kick starting the Summer of Library concerts. We’ll play in Julian on Saturday afternoon, in Encinitas on Saturday evening and then in Vista on Sunday. The Encinitas gig is with the full band featuring Lisa Hightower on vocals and it’ll be cool connecting with her again. The other gigs are with the power surf trio of Tripp, Gunnar and myself and we’re even sneaking in a surf before our rehearsal this week. Gotta do it! Look below for the details and the fine print. On Sunday evening I’m in the loop with vocalist Allison Adams Tucker and her band celebrating the emergence of her new recording “Come With Me”. We recorded this album earlier in the year here at SpragueLand and had a great time with the process. Allison has a beautiful voice and also sings in a few different languages. It’ll be a wonderful night of music and it’s all happening at Dizzy’s in downtown San Diego. I hope to see you there. Duncan Moore  drums 8 PM We're coming together at the fantastic new Encinitas Library for a free concert. Derek Cannon  trumpet 6 PM Allison has recorded a new CD at SpragueLand and has brought together a fine collection of inspired musos. It'll be a great night of music! 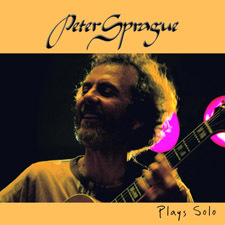 Peter Sprague  guitar 2 PM This is a fundraising concert for the Tierra Miguel Farm. 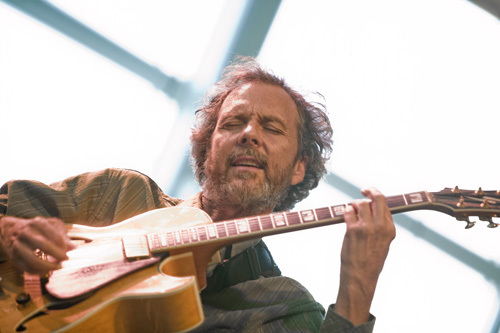 Peter Sprague  guitar 8:30 PM and 10:30 PM Kevyn and I have played together for a long time and we're really excited about this new music and playing in a duo setting. Tom Arospercussion 1 PM It'll be great pulling the group back together for some Samba and Jazz.
?  drums 8 PM I was fortunate to play on Denise's newest CD release "What Lies Within" and had a great time. Keezer wrote some amazing arrangements! Duncan Moore  drums 7 PM Getting it together with Leonard and the band for some great music. Fred Benedetti  guitar 7 PM We're thinking that libraries are the new frontier for creative music.